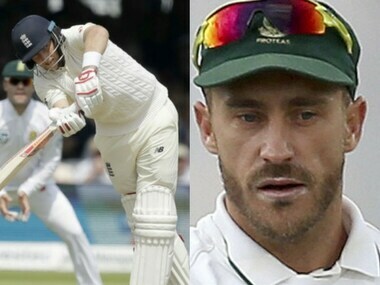 Fernando bowls the last over of the first day of the final Test. Saha guides the second ball towards the leg side to collect a single. Pandya finally gets off the mark with a single down the ground in the third delivery of the over. 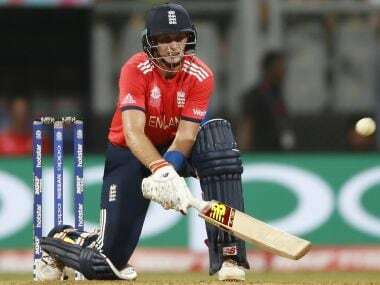 No runs off the remainder of the over, with the visitors going into stumps on a score of 329/6. 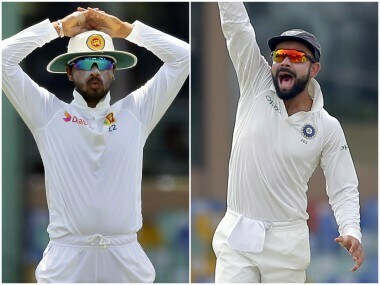 Jadeja bowls the last over of Day 3, with nightwatchman Pushpakumara remaining defensive, and seeing it off. Second maiden for Jadeja, as the Sri Lankans finish the day at 209/2. 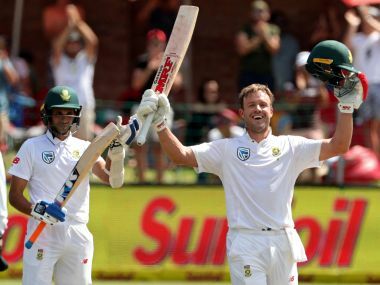 Catch the live scores and updates of the Day 2 of the third Test between England and South Africa. Catch all the live scores and updates of the ICC Champions Trophy encounter between Bangladesh and New Zealand. 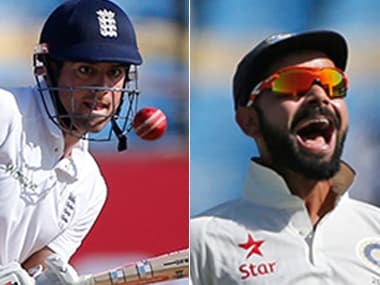 Catch all the live updates and scores of the Day 4 of the fifth Test between India and England. 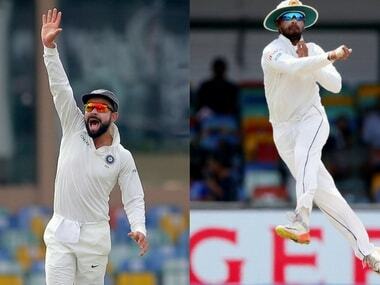 Catch all the Live updates from Day 5 of the 2nd Test between India and England at Visakhapatnam. 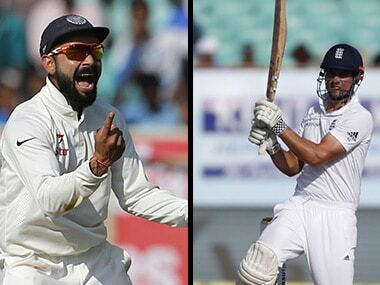 Live scores and updates of day 4 of the first Test between India and England in Rajkot.